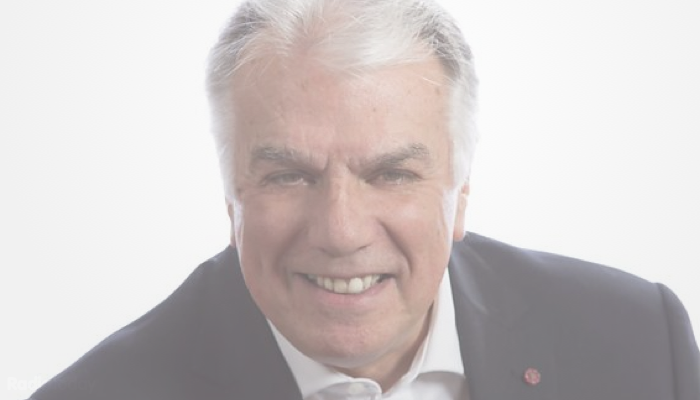 BBC Radio Northampton’s afternoon show presenter Stuart Linnell has left the station, bringing an end to 10 years of daily broadcasting in the county. Stuart did his final programme on Friday afternoon, with colleagues joining him in the studio to say farewell. We've gone from Brexit to Strexit! After nearly 50 years in broadcasting, it's a fond farewell @Stuart_Linnell from our @BernieKeith100. So many people to thank & acknowledge after what turned into a rather emotional day for me. Family & friends – & the @BBCNorthampton team TWICE! – were lovely in their surprises. I will try to thank those that I haven’t yet caught up with, but thank you Northamptonshire. Stuart started out on hospital radio in Birmingham before joining BBC Radio Birmingham in 1970. He was part of the launch team at Radio Hallam in 1974, including six years as Sports Editor. He then spent 15 years at Mercia Sound – starting as Sports Editor in 1980, presenting the weekday afternoon show and then going on to be Programme Controller and Managing Director. In 1995, he returned to the BBC, presenting shows across the Midlands including the BBC WM breakfast show. After a freelance spell, including working with Laser Broadcasting, he was back on air at BBC Local Radio from 2009 with stations such as Radio Derby, Radio Oxford, Hereford & Worcester and Coventry & Warwickshire. Before the move to afternoons in 2018, Stuart was the weekday breakfast show presenter on BBC Radio Northampton for seven years and prior to that hosted the station’s lunchtime show. He was given the MBE for services to broadcasting in 1995. Conor Philips is presenting the 3-7pm slot on BBC Radio Northampton this week – we’ve asked the BBC who Stuart’s replacement will be. Probably continue hosting the Saturday Sky Blues(Coventry City) after match reaction (home games only). With some callers phoning-in about wanting SISU (owners of the club) out. Maybe simulcast with Global, after all they want all radio in the UK?